Setting up shop in 1995, Fahrenheit Freight Forwarders Co. Ltd made a name for itself in the logistics sector over the last 24 years as a bridge-builder between continental mainland Europe and the Mediterranean island of Malta. Identified by its aquamarine-coloured corporate livery and well-kept, clean trucks, the company has developed a presence also thanks to its various depots and agents across Europe. Within its logistics operations, Fahrenheit has developed a specialised section dedicated to providing vehicle transportation solutions based on four fundamental pillars: professionalism, punctuality, efficiency and safety. The car-carrier service has succeeded in the industry by setting the standard in reliability and customer satisfaction. Thanks to experienced and dedicated drivers who work with the latest equipment, the firm endeavours to offer an impeccable service. Fahrenheit’s car carrier services specialise in UK-Malta transportation, operating weekly departures from its highly secure depots in London, Birmingham and Manchester. 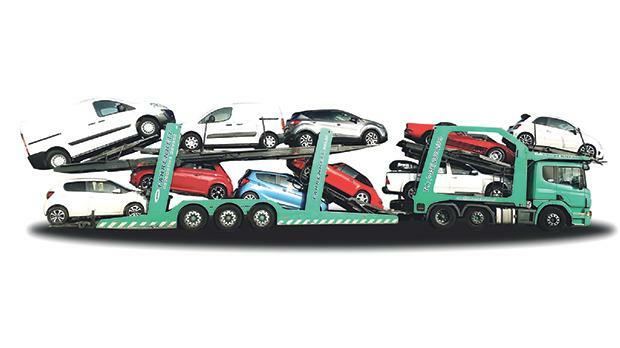 Car carriers are equipped to transport sedan vehicles, motorcycles, commercial vehicles and oversized equipment such as boats, excavation and lifting machinery, also offering personal services for prestige and vintage vehicles. Among these many services, the car-carrier company offers additional options, such as the purchasing, receiving and inspection of the desired vehicle, full risk coverage insurance, car valeting, as well as door-to-door delivery. Fahrenheit is licensed under the ‘Convention on the Contract for the International Carriage of Goods by Road’, a UN measure relating to various legal issues concerning the transportation of cargo by road. For more information, call (+356) 2339 2339, e-mail info@fahrenheit.com.mt or visit www.fahrenheit.com.mt/our-services/car-carrier/. Fahrenheit is a logistics business unit within Famalco/Building Businesses.